You've studied all week, you know the material like the back of your hand, but your heart's still pounding as you walk into the exam room, and your mind goes blank the second you look at the paper. If that's ever happened to you, you're definitely not alone. 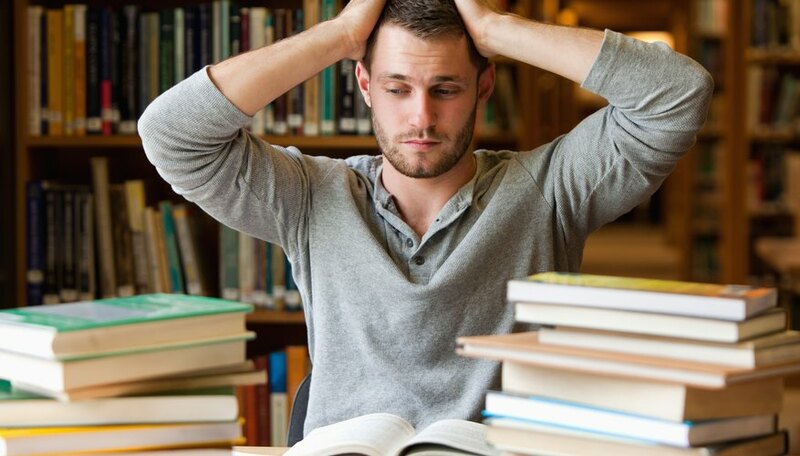 One recent IPSOS survey conducted in Canada found that 40 percent of university students reported experiencing "high stress," which is mostly concentrated around exams, and zero percent of respondents said they had no stress at all. Clearly, stress affects virtually all of us. And while exam stress can be overcome, that doesn't mean it won't affect you in the meantime. But if you know what's happening in your brain and body when you're grappling with exam stress , it may be easier to overcome your nerves to do well on your tests. While it's notably unpleasant, stress actually has an important evolutionary function: it prepares your body to respond to threats, upping your alertness, raising your heart rate and raising your blood sugar so your cells and tissues can access fast energy. That response is great if you need to, say, run away from a burning building, but a lot less welcome when you need to sit and focus on your test. The physiological stress response starts in your brain with the release of arginine-vassopressin (AVP) and corticotropin-releasing hormone (CRH) in your hypothalamus. CRH sends a chemical message to your pituitary gland that ultimately triggers the release of cortisol, the body's main stress hormone. Together, cortisol and vassopressin stimulate your body's stress response: increasing your blood pressure, heart rate and blood sugar and ultimately activating your "flight or fight" response. While "physiological stress" sounds like a negative when it comes to cognitive function, the truth is more complicated. 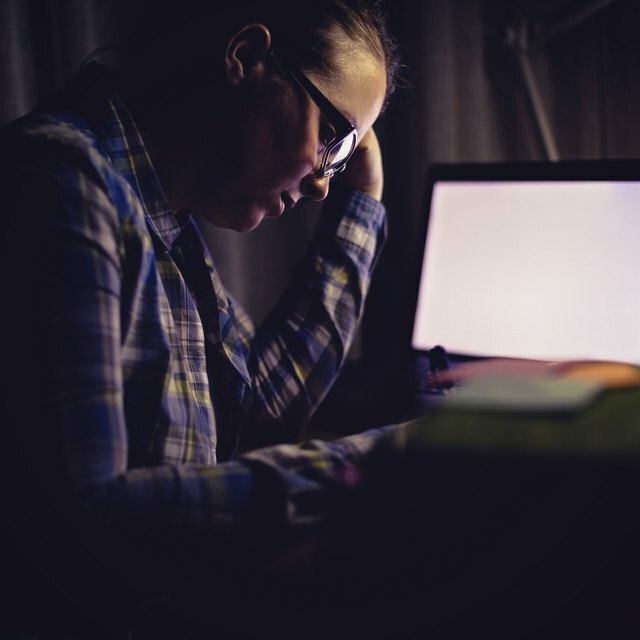 It's true that extremely high stress levels – for example, severe test anxiety – can affect your cognition, negatively impacting both your memory and your ability to complete a task. Over time, chronically high stress levels can also impair your ability form new memories, so high stress levels all semester long could impact your final exam performance later. But mild stress can actually enhance cognitive functioning, suggesting stress has some benefits too. Some of this difference might come down to your attitude toward stress. Research published in "Anxiety, Stress and Coping" in 2017 found that people who felt that stress had a positive effect on their performance actually did experience a boost in cognitive function – even under high stress levels, which should have decreased their performance – while people who felt that stress was debilitating did see a decrease in their performance. While we wouldn't go so far as to say the negative effects of stress are all in your head, it might help to focus on the positive effects of stress. Using stress to "scare" yourself into studying might help focus a wandering mind, and harnessing the temporary boost in alertness from your stress response might give your brain a temporary boost. That said, there are plenty of ways to calm yourself down during a test and keep your stress at a manageable level so you can succeed. Read through the entire exam, and start answering the questions you know by heart first. You'll reassure yourself that you didn't forget all the material you studied, and details in later questions might hint at answers elsewhere on the exam. Taking a brisk walk or practicing yoga before your exam also gives your mind a chance to relax, which might help you feel more comfortable. And sleeping well the night before an exam gives your brain a chance to rest and repair itself, so you'll be sharp the next day. And if your exam stress feels truly out of control, consider seeking help from a mental health professional. Most post-secondary institutions offer counseling services you can use throughout the semester. If you have clinical anxiety or another mental health challenge that impacts your ability to take exams, your school will make accommodations to help you succeed. Tremblay,, Sylvie. "Your Brain On: Exam Stress." Sciencing, https://sciencing.com/your-brain-on-exam-stress-13711540.html. 18 May 2018.